Affordable Top To Bottom Home Inspections Inc is owned and operated by Ruben Hacman. Originally from Ft. Lauderdale, Florida he and is wife along with their 2 sons and 1 daughter moved to Oklahoma due to his wife career in the Air Force. Ruben served in the US Army from 1998-2006 when he was Honorably Discharged. Ruben served 1 tour in Iraq where he was injured by a Grenade and was awarded the Purple Heart for his injuries. Affordable Top To Bottom Home Inspections is a Service Disabled Veteran Owned Business. Before, During and After the Military, Ruben worked in the construction industry in South Florida. 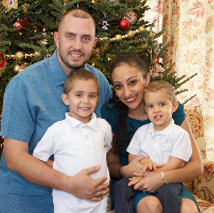 Before Ruben was working as a home inspector he was working as a Licensed Contractor in South Florida. After his years of experience repairing and building homes from the ground up, Ruben decided to get his home inspectors license along with his Mold Assessors License and Mold Remediators License. Ruben saw a hole in the industry that he knew he was more than qualified to fill. His attention to detail, background in home building, all building trades, and knowledge about all aspects of a home made him an excellent inspector from the beginning and makes him an exceptional inspector today. Ruben has always been someone with a do-it-yourself attitude. He takes charge of any situation presented to him and has performed repairs and projects on his own home as well as the homes of many of his friends. His hands-on knowledge of home systems and how to repair them allows him to explain the details of an inspection to his clients in ways that make sense to them. Ruben remembers every client he works with and looks forward to hearing from them, even well after the inspection, if they have questions about their report or when they have home maintenance questions. He does not feel her job is complete until his clients are confident that they understand the condition of the home that they are considering buying or selling, or even after they have already moved in. Ruben is always studying for, preparing for and taking exams for further education classes to obtain special national certifications that are directly related to Home Inspections or the construction industry. 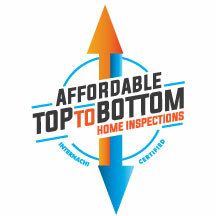 Affordable Top To Bottom Home Inspections Inc.